Lately, all we’ve heard about are the CEO’s and men in power abusing their privilege towards those in a lower position. But one President is stepping up to talk about the hidden addiction he battled with Cocaine and how it nearly ruined his career. 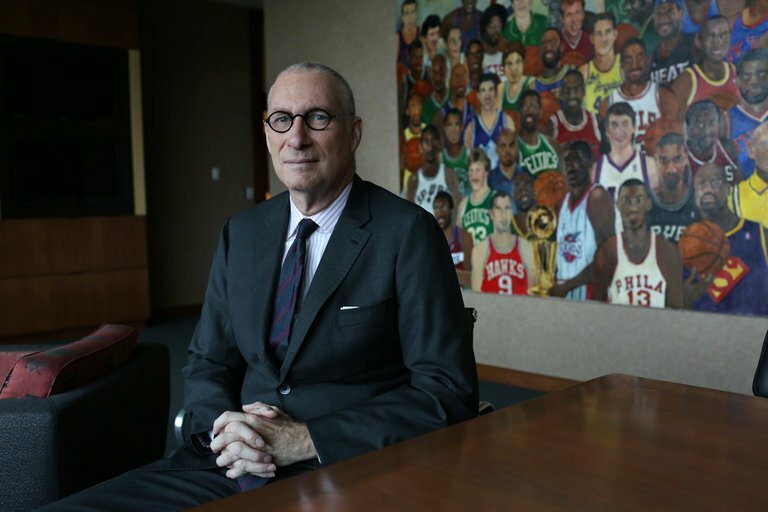 EX ESPN President John Skipper abruptly “resigned” from the network and cited “substance addiction issues” in December 2017. The resignation sent shockwaves through the sports company, even high level ESPN employees were taken by surprise. Just a week prior Skipper had presided over a mandatory all hands on deck meeting at the network’s Bristol, Connecticut campus. Then-President Skipper was the picture of confidence to a room full of uneasy and scared employees amid layoffs, management changes and very public twitter war with President Trump. He specified excitement regarding the companies’ future. But two days later, after a meeting with Robert Allen Iger, Chairman and CEO of the Walt Disney Company, they mutually agreed he should resign from ESPN. They agreed the addiction problems he had been privately struggling with had put the company in an “untenable” position, leaving him no other choice but to resign. ESPN declined to comment on its former president’s interview. Disney didn’t respond to a request for comment, and Mr. Skipper didn’t respond to a message left at his home. But only as of Thursday, Skipper explained further what had forced him into cutting his beloved career short. The dealer he had been purchasing drugs from attempted to extort him. “They threatened me, and I understood immediately that threat put me and my family at risk, and this exposure would put my professional life at risk as well,” he told The Hollywood Reporter. Although he admittedly never used any opioids or heroin, he never disclosed how long he used for. He says his use never effected his work but he did seek out a recovery program. He sited his rehabilitation as vague and unspecific “therapy” and “treatment”. He also never mentioned whether or not he reported the extortion to law enforcement. Even law enforcement in the Bristol, Wilton or New York State police department all said they had no records of any incidents involving Skipper. Without the full story, the mind begins to wonder. Is this the final explanation? Or will more details continue to emerge?